Former Jacksonville Jaguars first round draft pick Blaine Gabbert has signed a one-year deal with the Arizona Cardinals to backup Carson Palmer. Former first round pick Blaine Gabbert is signing a one-year deal with the Arizona Cardinals, according to ESPN’s Adam Schefter. Gabbert has spent the last three seasons with the San Francisco 49ers. Over the last two seasons he started 13 games and won four of them. The Missouri Tigers product was originally taken 10th overall by the Jacksonville Jaguars where he spent three underwhelming seasons. Jacksonville has come to regret that pick as the choice following Gabbert in the 2011 draft was JJ Watt. Moreover, Andy Dalton was taken later in that draft by the Cincinnati Bengals. Gabbert gives the Cardinals a formidable backup quarterback with starting experience in the case that an aging Carson Palmer goes down to injury once again. Currently the Cardinals have Drew Stanton and Zac Dysert on their roster to back up Palmer. After a disappointing season in the desert last year, the Cardinals are looking to get back into contention this year. The Cardinals finished 7-8-1 in 2016 and finished second in the NFC West behind the Seattle Seahawks. Keeping Palmer healthy and Gabbert off the field may be the key to success for the team in the 2017 campaign. 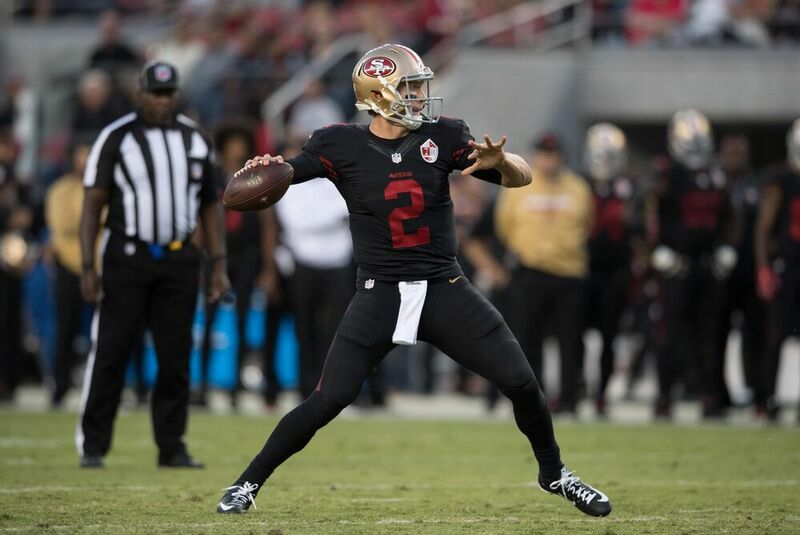 With Gabbert officially out of San Francisco and it not looking likely that a Colin Kaepernick reunion is in the cards, the quarterback options that San Francisco has coming into the season are Matt Barkley, CJ Beathard, Brian Hoyer, and Nick Mullens. Brian Hoyer remains the starter coming into the season in the Bay Area but there is a lot of optimism following CJ Beathard from Iowa. However, Hoyer has shown that he is prone to injury throughout his career so Beathard and the other quarterbacks on the roster might see some action in the upcoming season.